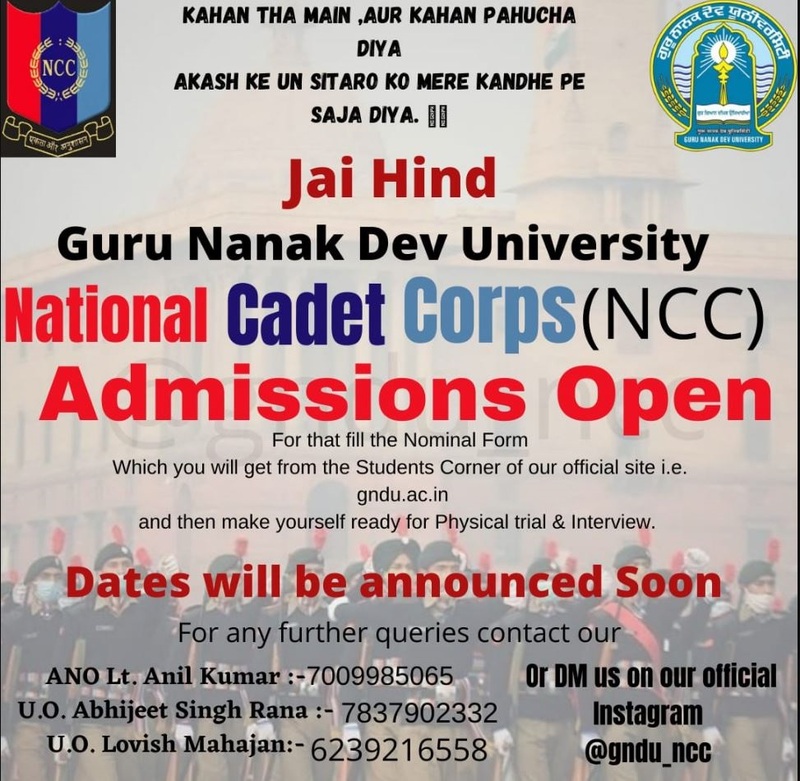 Guru Nanak Dev University is committed to maintaining an educational environment free from discrimination, harassment, intimidation or inappropriate conduct of sexual nature. The University aims to sensitize the students, employees and teachers on gender issues. Everybody needs to realize that harassment is an act of demoralizing and degrading the victim. The University adopts the Sexual Harassment of Women at the Workplace (Prevention, Prohibition and Redressal) Act, 2013 and under this it is the responsibility of the University to work for the safety of the female students and employees. Sexual Harassment is a violation of Article 51A: on fundamental duties and its section (e) states that it is the duty of every citizen to renounce practices derogatory to the dignity of women. The objective is also to create awareness as to what construes as sexual harassment. Students are most vulnerable and sexual harassment interferes with a student's ability to learn, study, work and participate. Know your rights and use them. You deserve a safe academic and working environment. What should you do if you think that you have been subjected to sexual harassment? You should confront the offender whose conduct is offensive, unwelcome or intimidating and request such conduct should stop immediately. Do not shy, be direct and make sure your message is clear. Report it. When you are subjected to sexual harassment there is a tendency to feel confused and helpless or blame yourself for the offensive behavior. It is important to report inappropriate conduct and get help; not only to protect yourself but also other students and employees. Remember to file a complaint within three months of the incident. University's Policy of Zero tolerance of sexual harassment sends clear message to all employees and students that sexual harassment is a form of discrimination based on gender and is prohibited. University has constituted separate Internal Complaints Committees (ICC) for each of its campuses. After filing the complaint at an appropriate site your work is done. Requisite action will now be taken by the ICC.